Learn the digital marketing strategy that service-based businesses are using to generate more leads and sales, while "out-competing" the competition! Get It Now. It's FREE!What's Inside? 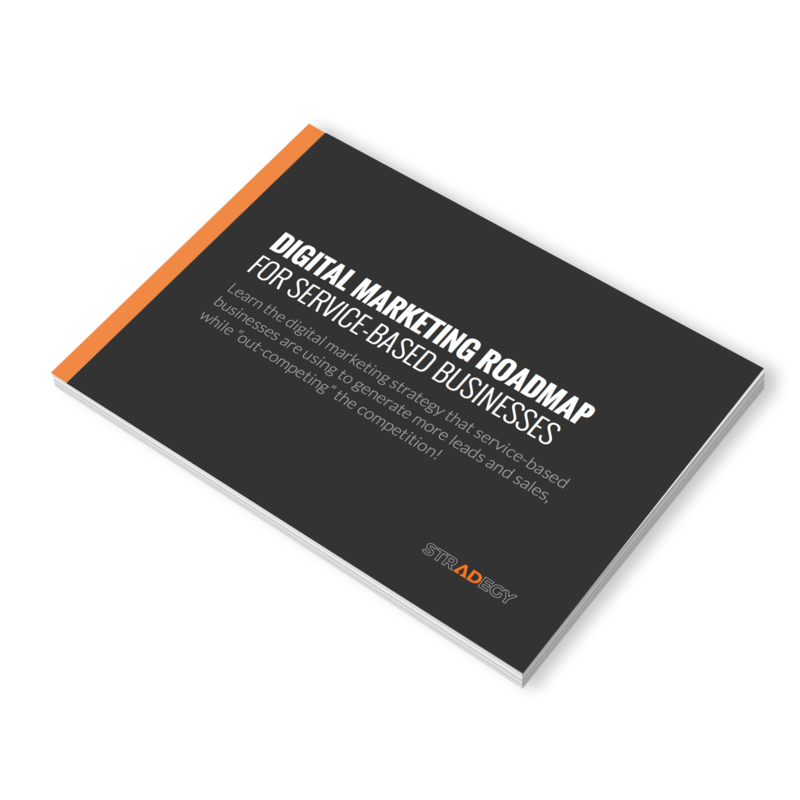 Download the "Digital Marketing Roadmap" now, It's Free! Enter your name and email address and click the "Get The Roadmap Now" button below. You'll get instant access to the guide on the following page. By downloading this guide you agree to receive emails from us. You can unsubscribe anytime by clicking the Unsubscribe link contained in every email. Who is the Digital Marketing Roadmap for? If you own, operate or are responsible for the marketing and sales of a service-based business, the Digital Marketing Roadmap was created just for you! Service-based businesses account for the majority of businesses in North America. If you're like most, you are a small business (between 1 and 100 employees) trying to make the most of your limited resources (time, money and skills). While the digital economy has levelled the playing field for businesses of all sizes, it's also created a lot of confusion. There are too many options , and too few businesses understand where to begin and how to effectively invest their resources. You can't afford to cross your fingers and hope things work. You need a proven strategy, and that's what the Digital Marketing Roadmap is going to deliver! The 5 step digital marketing strategy that can generate more leads and sales for your business, quickly and affordably. As a service-based business you need the phone to ring and inquiries to land in your email inbox. You need consumers contacting you so that you can convert them into paying customers. While this sounds like it should be easy in theory, we all know that in reality it's not quite that simple. We're often trading time for money and there is only so much time in a day, which is why you need to start working smarter and not harder. That's what the Digital Marketing Roadmap is going to help you do!